My long battles to find these were due to the fact I didn't know these two Mark E. Smith collaborations were in fact available on a Fall compilation. No, not one of ZZ Top, but the legendary W.G. 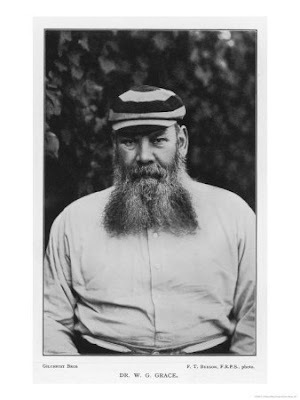 Grace, one of Britain's most legendary cricketers. 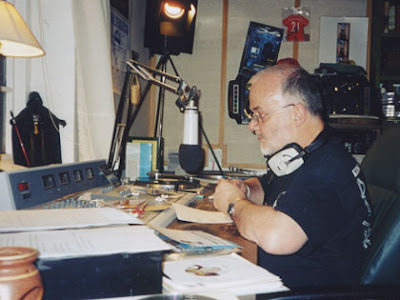 Thank you for all those of you who have sent me Peel tunes that I had requested. I have just come back from seeing Lou Reed performing Berlin, which was fantastic, and I'm overwhelmed by just how much music is in my inbox. Not to mention all the new artists getting touch. Please be patient, I'll get there and listen to it, post it and write about it a.s.a.p. ...now can anyone help with these? Meanwhile - if you enjoy the eclecticism of the Festive Fifties, check out Teenage Kicks. Deepest sympathies to Steve, whose computer is down and he can't post stuff at the moment. 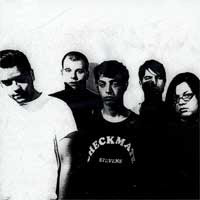 The band above is a Canadian punk band called Fucked Up. Given that I have posted a lot of Shop Assistants' stuff of late over here (and a little bit more to come as well), Tom at Indie mp3 sent this over. See what you think...and thank you Tom. An article in the latest issue of The Wire bought me to the attention of the young man above. East London Grime artist? South London Dubstep producer? No Rustie hails from Glasgow, and the music that he makes, which wears its electro and hip-hop influences on the sleeve proudly should be heard. This genre? 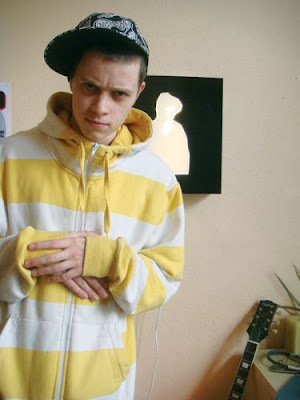 Russell Whyte, as he's known to his Mum, calls it aquacrunkstep. The Wire point out that this is an 'amusing yet oddly accurate term for the undulating synths and riplling percussion that leaves trails of echo as they swim around the speakers in chasing patterns.' Actually, maybe it owes a small, wee debt to Aphex Twin's Windowlicker which mixed hip hop and electronic dance music to devastating effect nearly a decade ago, but this still should be heard on its own terms. 'Mic Of The Year' as posted on the Wire website is from his Cafe De Fresh EP (will have to try and get my grubby little mits on it). You know what I'm going to ask now, don't you? The two most unlikely songs on the Festive Fifty ever? My attempts to complete all the Festive Fifties continue apace. Should I sneer at this song? Probably. But I'd rather this than 'Money For Nothing' any day. Meanwhile, Brooce has been criticised for his bombast, but I can't help wondering if he's been slagged unfairly for daring to be successful. 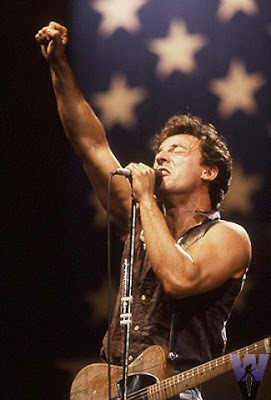 Maybe one day he'll re-record Born In the USA -the whole album as opposed to just the title track, in the style of Nebraska. Meanwhile, can anyone help with Public Enemy's 'You're Gonna Get Yours (Terminator X Dub Getaway mix)' to help me complete 1987, The Fall's Lucifer Over Lancashire (Theology mix) and Mighty Mighty's Is There Anyone Out There to complete 1986? STOP PRESS: Now have these. relax etc..
To be horror, I haven't featured any new bands here in over two weeks, despite the fact I have certainly been sent them to write about and review. Anyway, the above band are Voxpop. Hailing from London and featuring Alex who used to be in the Upper Room (who had an album out a while back, and two top forty hitsand were seen by this writer (!) as a support act long before they had their first top forty hit *get me! 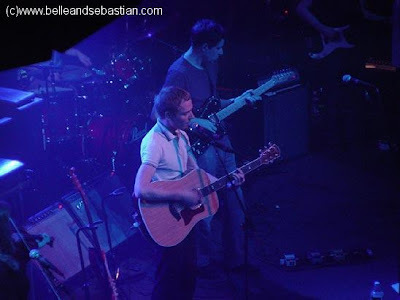 *), they deliver on the great indie pop front in great style. 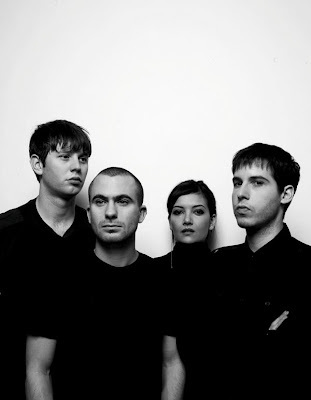 Alexander, Rosalind,Beau and John are working with Paul Epworth who has worked with Bloc Party, the Futureheads, Kate Nash and Maximo Park and it sounds to these ears like it's paying off. STOP PRESS: now in possession of the full track. Many thanks to everyone who sent it in. You rule! This session was recorded in 2001. Many thanks to the kind readers who sent this in. As far as I can tell, these tracks are unavailable elsewhere -they are certainly not listed at iTunes (yes, alright, clever clogs, I know that's not the final word but it's pretty comprehensive, in the UK, generally speaking). Back in February, I wrote that I was planning to do a new series on 17 Seconds where I would post stuff that was hard to get hold of. Well, it may not have been an organised (ha!) series, but as one of my readers has provided me with a lot of hard to find stuff that made the Peel Festive Fifties, I said I would post some of the non-Chrysalis Shop Assistants stuff. So here are eleven tracks. First up, their very first single. Can someone PLEASE send the b-side if they have it and I promise to share it. 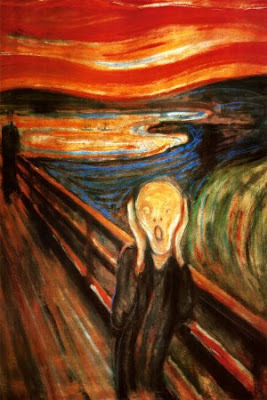 STOP PRESS: see above! There is a great Shop Assistants fan page here. Oh, and according to the one-time Jesse Garon and the Desperadoes frontman, there WILL be a compilaton of non-Chrysalis stuff later this year. 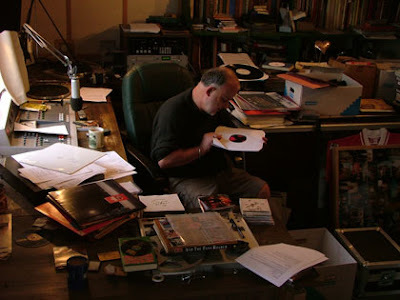 It presumably will include the final two 12" singles of 'Here It Comes' and 'Big E Power.' I will post these soon, but hope you enjoy these for now. Call it slowcore, sadcore...or one of the most famous Mormon acts (well, alongside The Osmond family and uh, Wayne Hussey from the Mission, who was raised a Mormon), Low are something else. Supported heavily by Peel, I remember being utterly blown away by their 2001 album Things We Lost In The Fire, and when John Peel played 'Sunflower' I was genuinely moved. Though the first thing I ever bought was the Christmas LP and and the Dinosaur Act 7". From Rough Trade in London, natch. THese three tracks all made the 2002 Festive Fifty, and I think listening to these, it's more than possible, given just how much I love the aforementioned Things... and 2005's The Great Destroyer that I have forgotten how good this album is too. Do buy as much Low stuff as you can, if you like what you hear here. PRIMAL SCREAM ARE BACK WITH THEIR 9TH STUDIO ALBUM - THEIR FIRST FOR B-UNIQUE RECORDS. THE RECORD, TITLED ’BEAUTIFUL FUTURE’, IS OUT JULY 21ST, AND FEATURES TRACKS PRODUCED BY, AMONGST OTHERS, BJORN YTTLING (PETER, BJORN AND JOHN] AND PAUL EPWORTH [BLOC PARTY]. THE ALBUM INCLUDES THE STORMING NEW SINGLE ‘CAN’T GO BACK’ – OUT JULY 14TH. FEATURING GUEST COLLABORATIONS FROM LOVEFOXX OF CSS, JOSH HOMME OF QUEENS OF THE STONE AGE AND FOLK LEGEND LINDA THOMPSON, THE ALBUM IS AS DIVERSE AND BRILLIANT AS WE HAVE COME TO EXPECT FROM AN LP FROM THE LEGENDARY GROUP. Despite those annoying capital letters, I'm excited about the collaborations (especially Linda Thompson) and this free track they have made available to download. For once, this was a session I did tape, but don't have the technology to edit from cassette to mp3 yet. But thanks to everyone who sent this in, especially David and Ray. For more about this session, check here. Oh, can anyone help with the Anti-Hero tracks 'Rolling Stones t-shirt' and 'You Got Nothing' If so, please get in touch. 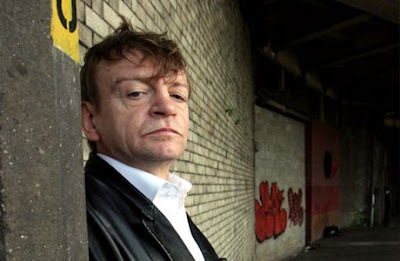 It's odd, the Fall are often seen as being quite Caustic-sounding (well, I suppose they are, at times) and always associated with Manchester. But Mark E. Smith called Edinburgh his home for a time, around the time of Extricate, for reasons that even the re-issue notes don't seem to explain. It did produce what is arguably the most summery-sounding hymn to my adopted home city, though, and the no.4 entry in 1991's Festive Fifty (or Phantom Fifty, if you prefer). Still reckon you don't like the Fall? Wire's official website is here. You should get yourself some Wire stuff, starting with the first three seminal albums Pink Flag, Chairs Missing and 154. You folks are brilliant. Thanks to everyone who has sent me those requested tracks. I will post them here-and try and wade through all the other stuff in my mailbox. In the meantime, a re-post of my favourite EVER song to say thank you to you all. Britpop was acknowledged on the Festive Fifty (Bluetones, Ash, Pulp, Supergrass, Elastica) and some of the bands did better post-Britpop (Blur, Radiohead) and even Suede got a look in for the 'Drowners.' For whatever reason, Oasis didn't ever have an entry...with the exception of probably their most famous tune 'Wonderwall.' Cat Power performed it in session in 2000, when it reached no.33. This track was sent to me by Steve at Teenage Kicks. It has never had a commercial release that either of us are aware. 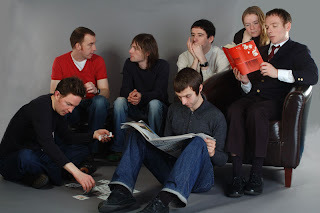 Oh, and if anyone managed to get the Belle and Sebastian 2002 session, Wire's 2002 session or got Bonnie 'prince' Billy doing 'Little Boy Blue' (cannot find this track either) could they get in touch, or point me in its' direction. God bless you all, God bless Les Paul, to quote Eugene Kelly. 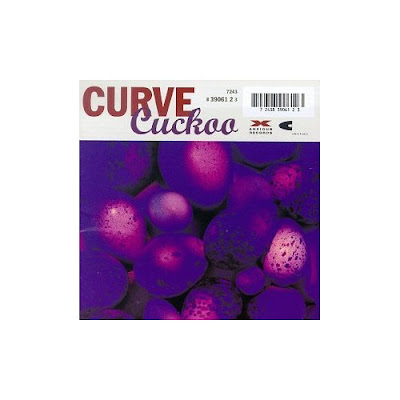 Ah, Curve...fronted by the wondrous Toni Halliday and her partner in crime, bassist, Dean Garcia, in 1991 Curve released three fantastic EPs (Blindfold, Frozen, Cherry) on the Anxious label, owned by Dave Stewart. They were part of the shoegazing movement, and bridged or perhaps blurred the gap between Goth, Indie and Shoegazing. 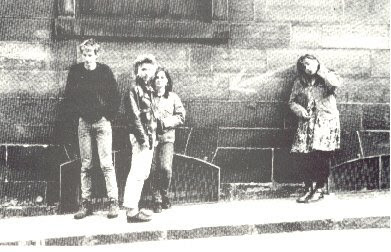 They had two entries in the 1991 Festive Fifty and recorded three peel sessions. In 1992 their debut album Doppelganger came out, earning them two top 40 singles. By the following year they were ready to release their second album, Cuckoo. Opening with the wondrous 'Missing Link' this was a strong set, but the public seemed to be moving on. 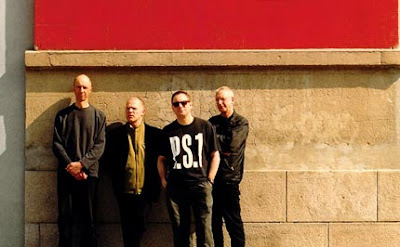 After this album came out, the band went on a hiatus for several years, during which time Toni recorded the vocals on 'Original' a track on Leftfield' seminal 1995 LP Leftism, which became one of that year's defining albums. Guitarist Debbie Smith, meanwhile, joined Echobelly . Toni and Dean finally called time on the band in 2005. Although unavailable on iunes UK, the compilation of those fabulous three EPs, Pubic Fruit and the debut are available through Amazon, but Cuckoo is only available on import. Therefore: I present it for you here. Disclaimer: I do not own the copyright to this album. I am posting this album here due to its unavailablity in the UK. If you own the rights to this album and do not want it posted here, please email me and I will remove it posthaste. If you like what you hear, support Curve buy buying their albums. If you like the PJ Harvey stuff particularly (and you should) check out Teenage Kicks has done another excellent post. 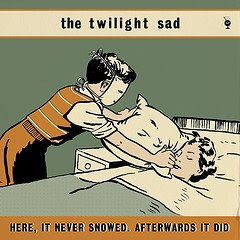 Last year, The Twilight Sad's debut LP Fourteen Autumns and Fifteen Winters indicated that here was a band from Glasgow who built upon their city's heritage and then blasted it away. Whilst they work on the follow-up, they have issued this six track mini-LP. Although they view it as self-contained release, given that four of the tracks appeared on their debut, it will be viewed as a companion piece by many. But four of the tracks are re-workings (and the re-examining of them suggests that's a more appropriate word to use than re-recording, which infers their was something wrong with the original. Which blatantly there wasn't). There are also two new tracks here which make the price of admission worthwhile alone, a cover of Daniel Johnston's 'Some Things Last A Long Time' which closes the record, and the title track. James Graham's vocals not only sound like they are sung from the heart, it's also refreshing to see that Scottish bands increasingly have the confidence to sing in their own accents (I wonder if Alex Salmond will take the credit for that,too?) 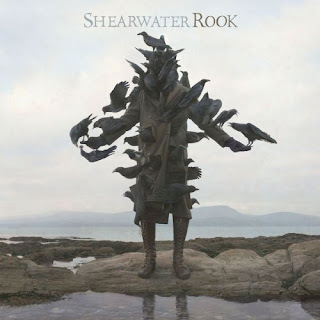 Listening to this, I also hear more of the scottish folk influence coming through than I did on the debut. It's no bad thing to view this as a companion release to the debut, rather it indicates just how much promise this band have -and indeed, deliver. Don't rush the sophomore, fellas, on this evidence, take all the time you need. Here, It Never Snowed. Afterwards It Did is released by Big Cat on June 9. 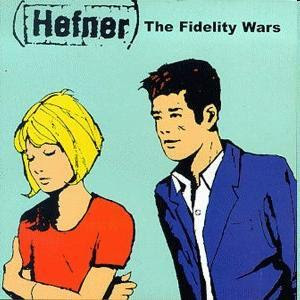 Coming hot on the heels of their debut LP, Breaking God's Heart, this was hefner's sophomore release in 1999. 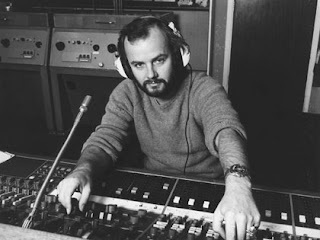 In British indie terms, it was pretty damn successful: four songs from it made John Peel's annual Festive Fifty chart that year (and they had nos.2 and 3), and it gave them an indie chart no.1 in both the LPs and the singles ('Hymn For The Cigarettes'). So how does it stand up nine years on? Pretty damn well, in fact. Over the eleven songs, Hefner remind you that they are one of the bands that got away. And we shouldn't have let them (though Hayman Watkins Trout and Lee, Darren Hayman's latest project, are pretty good in their own way). Maybe if the blogosphere had been up and running ten years previously, they would have developed their cult staus more. We can but speculate. For, on listening once again, the lyrics show that they really were on a parallel with Morrissey and Half man Half Biscuit for being caustic, and pretty funny with it too. And they had great tunes as well. 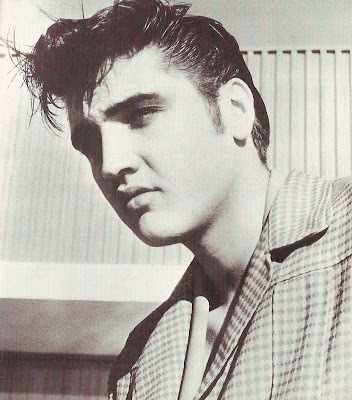 They called several of their songs Hymns for things they loved ('Alcohol' 'Cigarettes' 'The Things We Didn't Do.' I was always waiting for one to the Beach Boys, but it never came). The package is a double, including the eleven original tracks, the five fantastic tracks that make up The Hefner Heart EP, and another twenty four tracks that include b-sides, four track recordings and rehearsal versions (personally I would have preferred to see the three Peel sessions they recorded that year, but I'm notoriously picky). Though this can be a lot to take in in one sitting, Disc 1, with the aforementioned EP and sophomore album is a joy. **** for disc 1, *** for disc 2. The Fidelity Wars was re-issued on Belka records on June 2. The video for 'I took Her Love For Granted.' Bizarre body stockings ahoy! Ah, The Primitives. 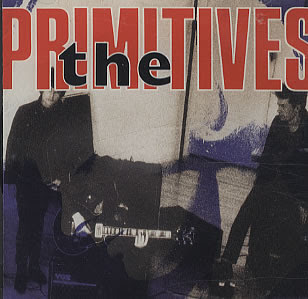 Along with Primal Scream and The Wedding Present, the Primitives came out of the 'c86' scene and hit the charts and Smash Hits. Lumped in with The darling Buds and, erm, Tranvision Vamp in the 'blonde' movement, they had some class(ic) tunes. Best known for 'Crash' which opens this debut, they appeared on Top of the Pops, made great videos and even sold records. Then as the indie music scene became increasingly obssessed with there 'always having been a dance element to our music...honest!' they faded away by the early nineties. I would love to get my mucky paws on their third album, but for now, here is their classic debut Lovely, from 1988. There are compilations available, but their studio albums are currently unavailable. Criminally. Disclaimer: I hereby state that I do not own, nor have I ever owned the rights to this music. I am making no profit out of posting this music here. The reason i am posting this album is that it is unavailable in the UK. I hope that if people like this album they will track down a copy of it, and more importantly, that those who own the rights re-issue it. Oh, wow. I was expecting something good, given the acclaim, chinese whispers and the fact that it's on Matador but not ...this. I want to this to be a considered, thoughful review and to try and keep me excitement under control. But the reality is that I think this is one of the albums of the year. I've reviewed many of the sixty plus albums I've heard this year, and this really is up there with the best of the best (thank you, Top Gun). Jonathan Meiburg's voice is the first thing that gets you. Think Antony Hegarty, Baby Dee, Jeff Buckley. That good. And then there's the instrumentation. What's impressive about this album is that there's aspects here that could appeal to Muse fans, but there's enough wondrous delight and experimentation that The Wire should be covering this band too. It surprises you too - 'Century Eyes' remins me of Richard Thompson, but then I wouldn't want to pigeonhole this all under folk-rock. (I wouldn't want to pigeonhole Mr. Thompson either, but you get my drift). It's almost pastoral, think late Talk Talk (Spirit of Eden), Virginia Astley (From Gardens Where We Feel Secure), John Cale's Paris 1919. 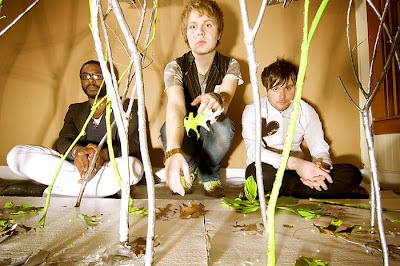 Maybe even Cale's onetime bandmate Nico's Desertshore, without being so dark or parts of latter-day Radiohead. Could this be a commercial breakthrough for the band? Oh, who knows. This record is too good to be kept a secret, and whether the general public pick up on it, only time will tell. Amazingly, it's only 35 minutes long, and not the sprawling release some might imagine. But buy yourself a copy. This is a record you will want to live with and savour for a very long time. In April it was my Mum, in May my darling Mrs. 17 Seconds and today it's my dad's Birthday. So happy birthday dad, here's some for you. 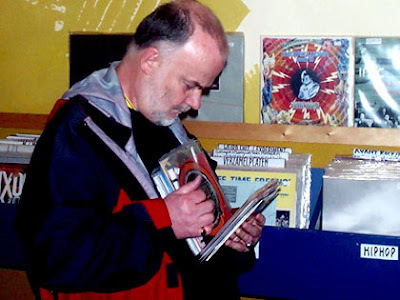 My Da's a legend, he's encouraged music-making and writing and has alsways been very encouraging of this blog. Have a good 'un, Da. Their sophomore release, Crawdaddy appeared within eighteen months of their debut ...Pop Said. 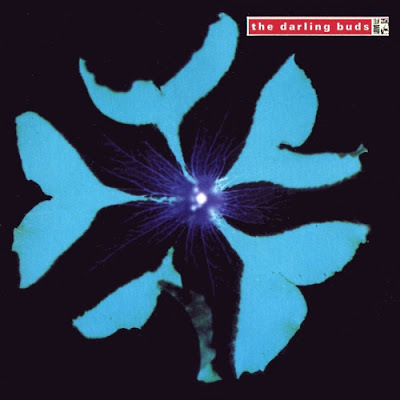 This album saw The Darling Buds embrace more of the 'dance' beats of the time, which was happening a great deal at that time on the indie scene, even those bands who had come out of the c86 scene. This does not seem to be available in the UK or US, unless you snap up a second hand copy, so many thanks to my reader Robert who sent me the files. Disclaimer: I should categorically state here and now that I do not own the rights to this music, nor have I ever. This music is posted here in order so that people can hear the music, particularly those people who cannot locate a copy. I would recommend that if you enjoy this music you seek it out in a second-hand format and that the band and copyright holders re-issue it. If you are the copyright holder and do not wish we to post it here, e-mail me and I will remove it post-haste. Jaguar Love are a new indie 'supergroup' to use a very seventies phrase referring to bands made up of people who are quite well known. 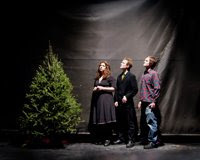 In this case, former Blood Brothers guitarist Cody Votalato and singer Johnny Whitney, and drummer, multi-instrumentalist and producer Jay Clark, formerly of Pretty Girls Make Graves. So what do they sound like? Well, remember how Battles' debut LP last year scorched and charred our musical brains with its' other wordliness? This is set to do the same on its' own terms. Imagine Captain Beefheart jamming with Marc Bolan, and the aforementioned Battles, and this is pretty close. Oh, and as ever, please let me know what you think! The Wedding Present have just released their seventh full-length album (not including Mini) this week, El Vey and very good it is too. But whilst their re-issue programme has enabled us to have great versions of their albums, one is missing. 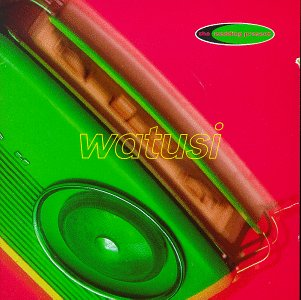 1994's Watusi is out of print. I have tried to find it, without success. Therefore, having managed to download it yesterday, I present it for you in all it's glory, track by track. If you own the copyright and don't want me to post it, I'll remove the files and hope it stings you into action. If you live in a country where it can be easily obtained and you chose to download it off here, shame on you. Disclaimer: I freely state here and now that I do not own the rights to this music. I am only posting it here, for a limited time, to enable people to download it who cannot buy a copy in their own country. You should also go and buy all the Wedding Present back catalogue that you can.